FOUR Australians have been dubbed “saints” for carrying out renovation work at the Modilon General Hospital. Peter Maitland, Trevor Philis, Mike Thomas and Noel Edgell from Sydney renovated the kitchen and laundry area by installing new facilities and building a new roof. They completed ion a few days what the Madang government was planning to carry out over a few months, costing around A$150,000 (about K349,545). They also put up new lights, repainted the interior and added new fans. 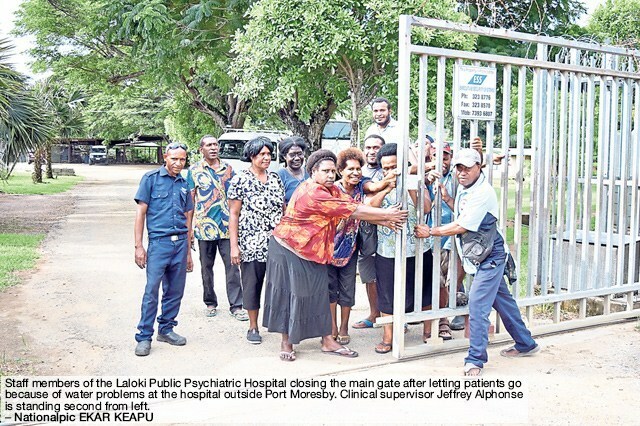 Hospital chief executive officer Sister Christine Gawi said her dreams had come true “I can truly say that Madang’s hospital can now be classified as having the best children’s outpatient in the country,” she said. Papua New Guinea has one of the highest malnutrition rates in the Pacific region, according to a health official. Eileen Dogimab of the Health department’s nutrition unit, told a malnutrition advocacy workshop in Port Moresby that up to 600,000 children were stunted in PNG, including 320,000 girls. SOUTH Fly police commander Chief Inspector Brian Kombe says police will be severe on law breakers, particularly boozers, this weekend. So much so that Kombe has spoken to hospital staff on Daru Island and Balimo to charge people K300 who turned up with alcohol-related problems. “Even though they have rights for seeking medical help, we have to do this so that the hefty fee would discourage them from taking liquor, especially homebrew, which is easily produced on the island,” he said. 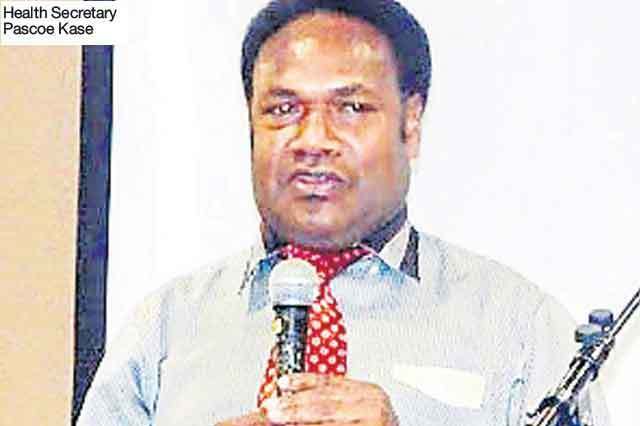 Finance Minister James Marape has encouraged the workforce to sign up for PNG Health Assurance Company Ltd (PHA) to care for their health. PHA is a national healthcare insurance scheme that was launched on Saturday in Port Moresby. 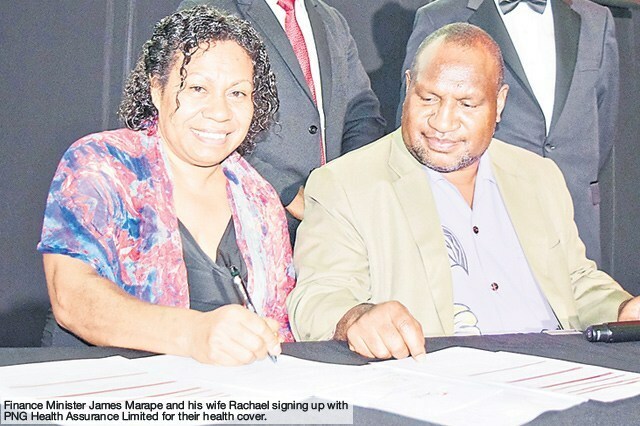 “This is a good scheme,” Marape said. Marape thanked PHA and its strategic partners for turning what was just a concept 13 months ago into reality. Papua New Guineans should be careful with the kind of food and drink they consume, says the doctor in-charge at the Kidney Foundation, Dr Steven Bogosia. He said it was expensive to undergo haemodialysis treatment once the kidney failed, “therefore, be careful with the kind of food and drink you consume”. 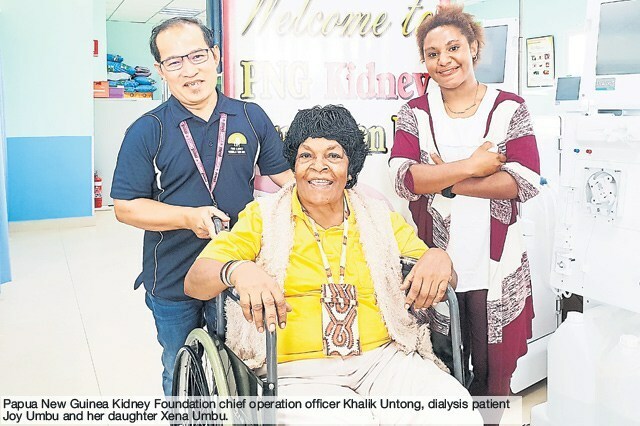 “Patients die at the Port Moresby General Hospital from kidney disease without a shot at getting treatment because they cannot afford it,” Bogosia said. He said the Kidney Foundation dialysis centre was the only affordable one in the country. “Diabetes is still the leading cause of kidney failure in the country,” Bogosia said. “It is a lifestyle disease that is preventable. THE Port Moresby General Hospital received the second donation of medicine and medical equipment by the Chinese government worth more than K2 million yesterday. During the handover ceremony at the hospital, acting Chinese Ambassador Yao Ming said these medical instruments were specifically for the field of urology. “We hope that after these medical instruments are installed and used, it will help the hospital to bring up the standard of medical as well as relieve the patients suffering.